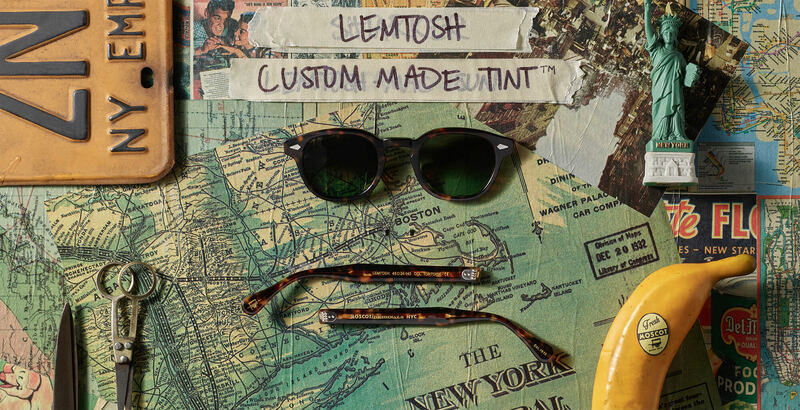 Shop the new custom tinted LEMTOSH frames and Limelight Tint from MOSCOT. Our iconic frames, now available in fashion-forward tints. Model is wearing The LEMTOSH Tortoise with Forest Wood Tint in size 49. Model is wearing The LEMTOSH Black with Mellow Yellow Tint in size 49. Model is wearing The LEMTOSH Black with Denim Blue Tint in size 46. "In fact, it's not an exaggeration to say that MOSCOT's LEMTOSH—might just be the coolest pair of frames ever created."